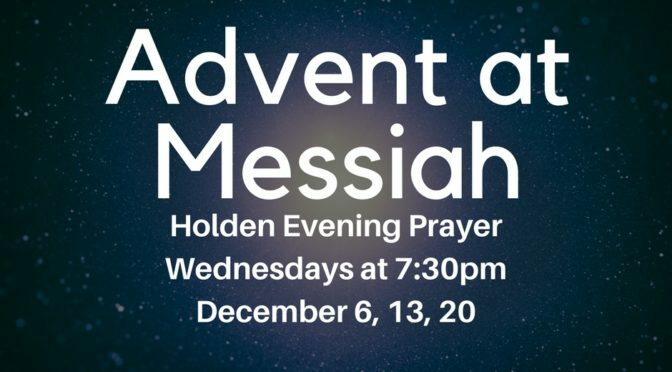 On December 6th, our Wednesday night Advent worship begins. Join us for beautiful music, candlelight and prayer at 7:30pm. This is a part of our regular “Messiah Night” – you are also invited to join us for dinner at 5:30pm and programs for adults and children at 6:30pm. This year we’ve also put together a daily devotional to move us through the season. Each day is assigned a word and you are invited to let your creativity spark from that word – take a photo, write a poem, draw a picture…anything! 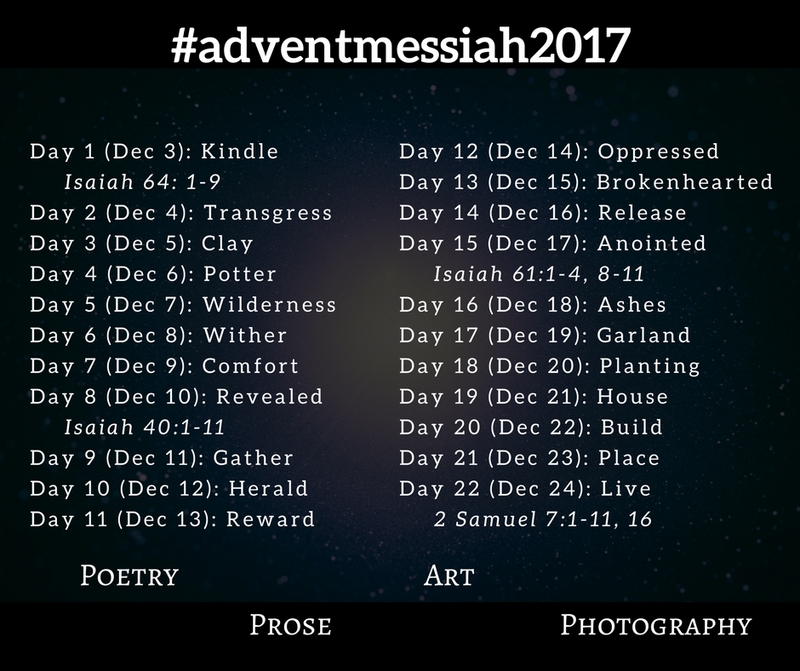 You can share your expressions on Facebook with the hashtag, #adventmessiah2017, email them to the pastors, or drop them off in the Welcome Center. At each Wednesday night service, Pastor Liz and Pastor Karl will incorporate your creativity into their reflections for the week. Take a breath this season and join the body of Christ as we prepare for the coming Messiah!